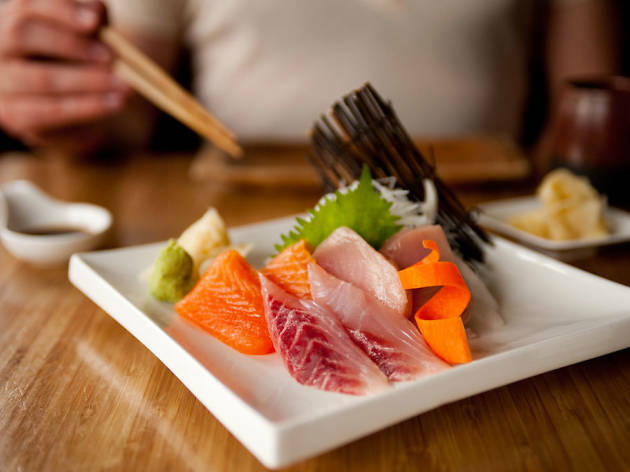 When Raymond Ho and Kin Lui opened their tiny 26-seat eatery in Pacific Heights in 2009, it was the first entirely sustainable sushi bar in the U.S., serving only fish available and caught using environmentally friendly methods. Others have since joined the movement, but Tataki is a standard-bearer—not just for its green credentials, but for its fresh, flavorful and inventive fare. Light, delicate arctic char often substitutes for salmon in signature “tataki” dishes such as seared and marinated char with capers in yuzu reduction, and in hand-rolls such as the 49er—masago (smelt roe) and avocado topped with char and lemon. 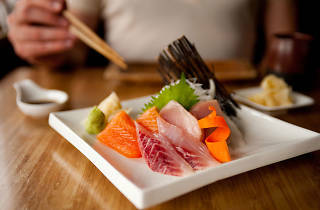 Other fish on the extensive sushi and sashimi menus might include Atlantic mackerel, wild Thai snapper, skipjack, pole-caught albacore, and sablefish. The duo has since expanded their menu and locations with two additional restaurants that feature grilled yakitori and kushiyaki skewers and housemade ramen, in addition to sushi.